Are you wondering whether there are better ways to monitor what’s being said online about you and your organization? Are you looking for a way to manage the work process involved in monitoring and responding to what is happening out there? If so, you’ll find the next Third Tuesday Ottawa to be just what you need. 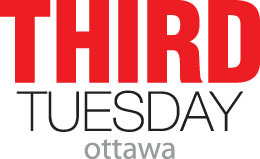 Next week’s Third Tuesday Ottawa will feature a panel of experts talking about the new tools we can use to stay on top of the conversation in social media and how this can be integrated with traditional media. Chris Johnson, President of dna13, Craig Comeau from Radian6 and Parker Mason from CNW Group will lead a discussion on the convergence of new media with the mainstream media, and the value of a proper measurement program. If you want to attend, reserve your place on the Third Tuesday Meetup site. Third Tuesdays across the country continue to be free events for the community thanks largely to our national sponsor, CNW Group. Once again, they are sponsoring this session – and sending Parker Mason to Ottawa to round out our panel. Thank you CNW!